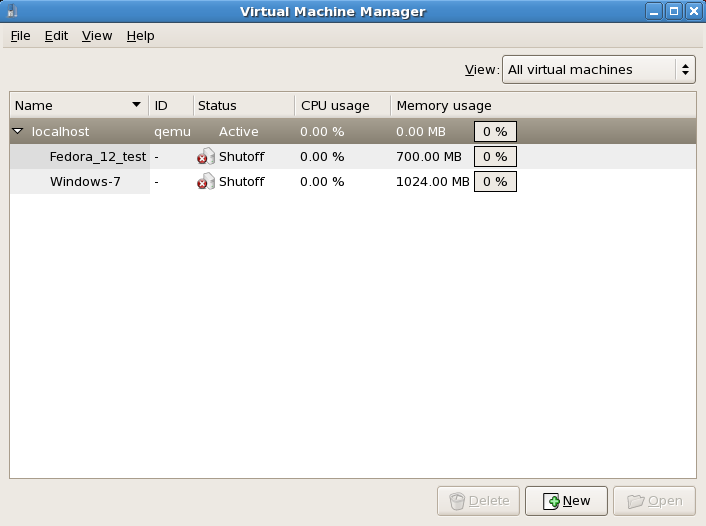 You can use the Virtual Machine Monitor to view activity data information for any virtual machines on your system. 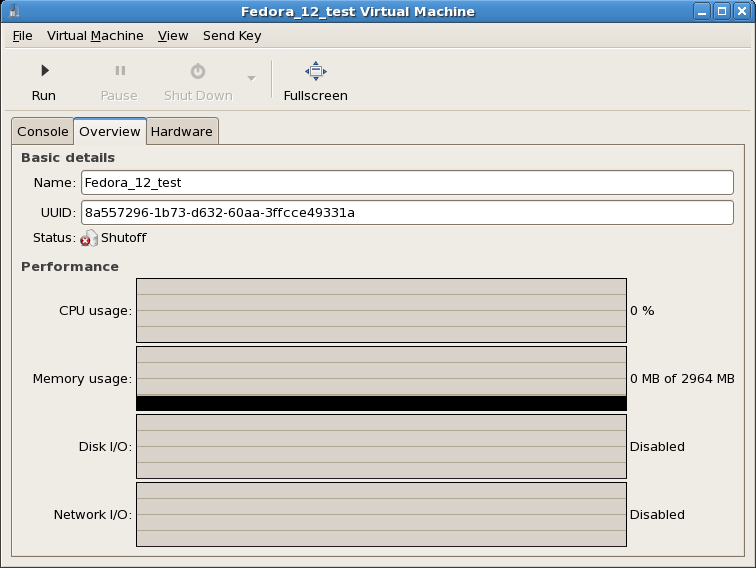 From the Virtual Machine Manager Edit menu, select Machine Details (or click the Details button on the bottom of the Virtual Machine Manager main window). 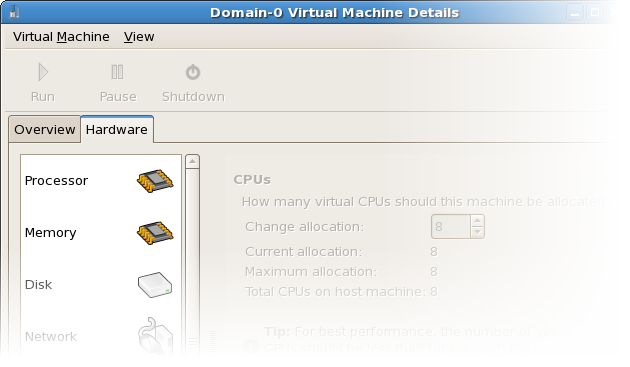 On the Virtual Machine window, click the Overview tab. The Overview tab summarizes CPU and memory usage for the guest you specified. On the Virtual Machine window, click the Hardwaretab. On the Hardware tab, click on Processor to view or change the current processor allocation. On the Hardware tab, click on Memory to view or change the current RAM memory allocation. 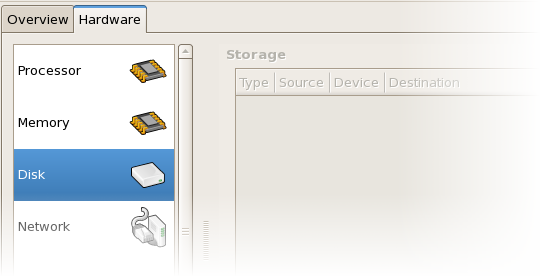 On the Hardware tab, click on Disk to view or change the current hard disk configuration. 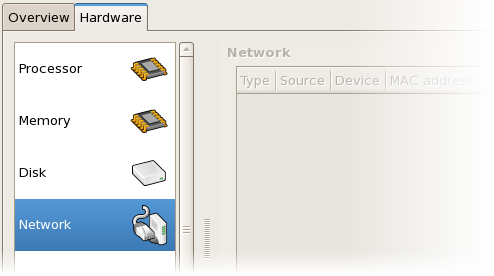 On the Hardware tab, click on NIC to view or change the current network configuration.